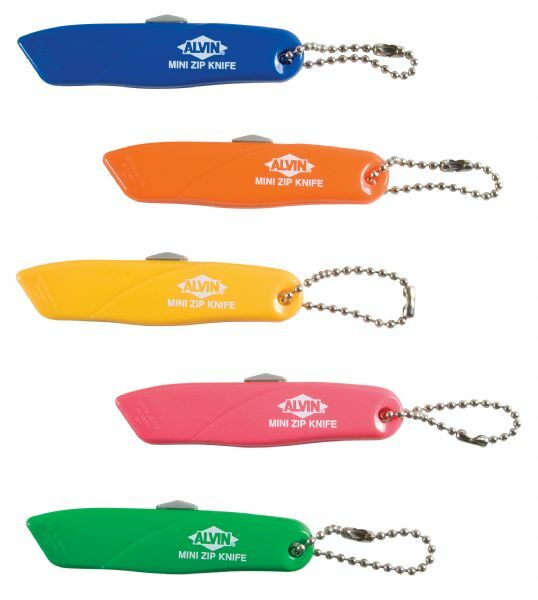 This handy keychain utility knife measures 3" long. * Blade extends with thumb pressure and retracts automatically. * Blue lightweight all plastic body. 3" x 0.75" x 0.25"